Dustin’s love for music goes back to campfire pickin’ and family jams at an early age, and musical influences that span multiple genres and generations. His musical roots and deep ties to rural Alberta express who Dustin Farr is and what kind of music lives in his soul. When writing Dustin conveys emotion and passion that you can truly feel when you hear him perform his original work. Dustin’s music is a combination of homegrown country sound with lyrics that speak to his deep roots of home, family, friends and a desire to make music meaningful. With vocal strength and tone blended with emotional themes, Dustin’s music will speak to your soul. 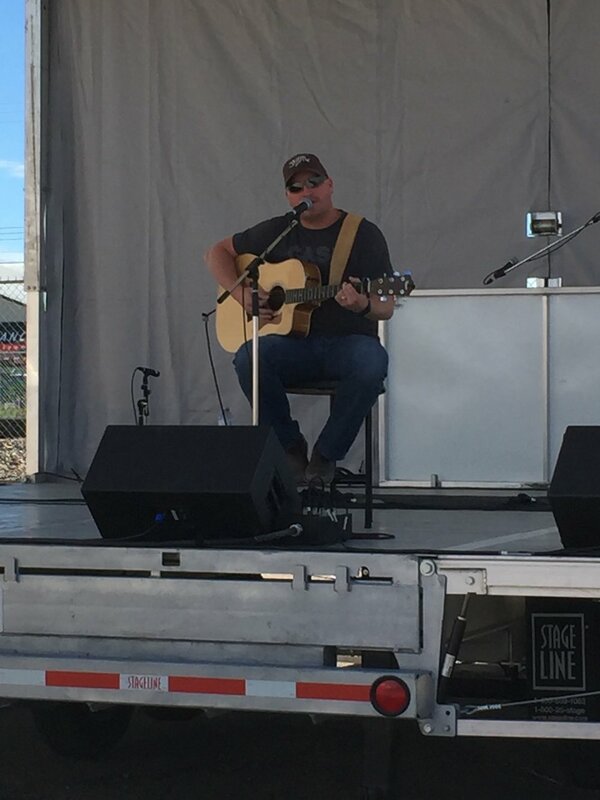 With over 20 years of experience in music, Dustin has cut his path in country music and continues to emulate a classic country sound with modern lyrical elements. His music will take you back to a simpler time, when party lines and family dances were commonplace and a handshake was as good as money. Dustin has been fortunate enough to share the stage with several other artists including: Jamie Woodfin, Trinity Bradshaw, Drew Gregory, Blake Reid, and Dwayne Steele. Dustin also continues to co-write and perform with many other artists in the Canadian music scene. 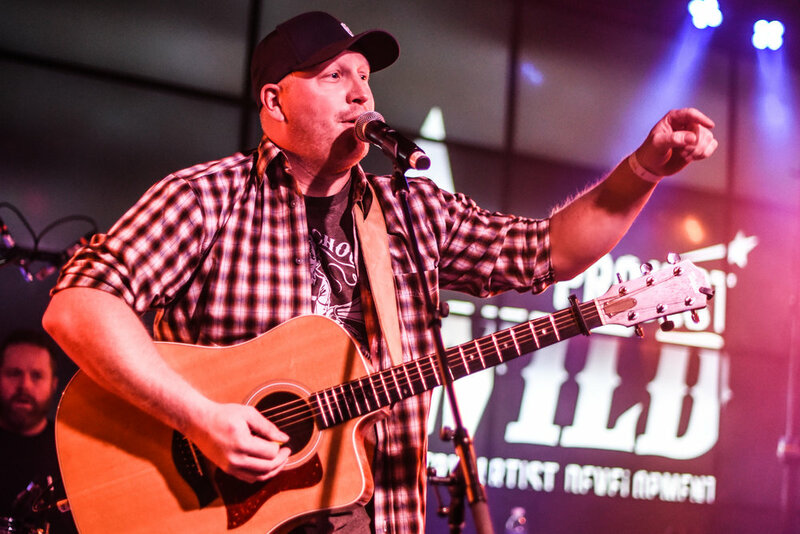 The viral notoriety that Dustin achieved with his song “We Are Alberta” was a turning point, not only for Dustin’s music, but his outlook on life. The experience of having over 280,000 Facebook views and hundreds of positive messages from across the country and around the world, brought a realization of the power of positivity and connection. Whether in person or on stage, Dustin is authentic and optimistic. Dustin's live show is an intimate experience that captivates the audience with an atmosphere showcasing music and lyrics. The blend of storytelling and song will capture your emotions and deliver an authentic exposure to real life and the rural Alberta romance. When working with other musicians, Dustin can create a live show that can fill stages large and small that continues to focus on audience connection and a genuine musical experience. So kick back and let your soul get lost in the lyrics and melody this home hewn country sound. I wrote the majority of this song in the fall of 2015, and finished it in the spring of 2016. I wanted to convey the feelings of loss that we all feel when a relationship ends. I wrote this song in the spring of 2016, as the year had been pretty rough already with several blows to the heart of our province. Then we were struck again with a wild fires that hit Fort McMurray, and I felt like the province needed something to give them a boost, and allow people to start pulling themselves out of this hole. This song is for the people of Alberta!! Use the link below to listen to my podcast with Jody Seeley where I discuss project wild, agriculture, music, family and everything in between. If you would like updates on upcoming shows, or news please sign up with your email address below. Thank You!! A confirmation email has been sent to your mailbox to complete your registration. If you believe you have not received this email, please check your junk folder prior to contacting us directly. If you would like updates on upcoming shows, please complete the contact form or follow Dustin on Facebook or Twitter using the icons below.